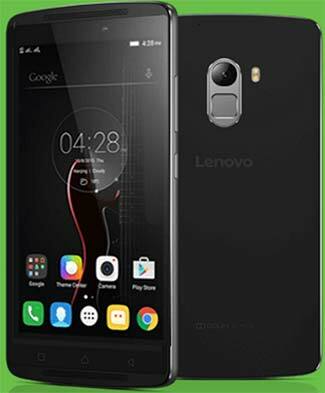 Chinese smartphone maker Lenovo made headlines with its highest-selling budget smartphone K3 Note last year. And it has kicked off the new year in style. The company launched the first flash sale of its new flagship Vibe K4 Note smartphone on Amazon India and bundled it with a virtual reality headset. The K4 Note costs Rs 11,999 but the phone and the ANT VR headset combo was priced at Rs 12,499. The sale received about 4.8 lakh registrations. The 10,000 devices on offer were sold out in 0.9 seconds, according to a tweet by Lenovo India. So, what makes the device a hot favourite? In terms of specifications, the K4 Note looks similar to its predecessor. However, the company has bumped up the K4 Note and has added several exciting features including dual front speakers powered by Dolby Atmos, a fingerprint scanner, and has also increased the battery life. The K4 Note is powered by a 64 bit octa-core MediaTek MT 6753 processor coupled with 3GB RAM and 16GB of internal memory that is expandable up to 128GB via a microSD card. This means the phone won't slow down for normal daily tasks. It runs Android 5.1 operating system and will be upgradable to Android 6.0 Marshmallow, with Vibe UI. The device features a 5.5-inch full high-definition display (1920Ã—1080 pixels) and also comes with Corning Gorilla Glass 3 protection, which was missing on K3 Note. What it means is that it makes the phone a lot less prone to picking up fingerprints and smudges. The company has also promised various back replacements such as a premium leather cover and wood covers for the K4 Note. The VR handset is powered by TheaterMax, which enhances multimedia experience. For those who have missed out on today's sale, the company is holding another flash sale on Wednesday where the phone will be available without the headset at Rs 11,999. The headset is priced separately at Rs 1,299. The K4 Note competes with the recently launched Coolpad Note 3 and Lenovo's own sibling Moto G. However, the K4 Note seems to be a better overall package at a decent price point. Meanwhile, Huawei will unveil its new Honor 5X model on January 28. The device is expected to be priced between Rs 10,000 and Rs 15,000. Similarly, LeTV's Le 1S smartphone, which is likely to make its India debut on January 20, will also compete against Lenovo K4.